When searching for Fort Lauderdale Hotels with Shuttle Service to the Port of Miami, contact our professional staff at Quality Inn & Suites Hotel. 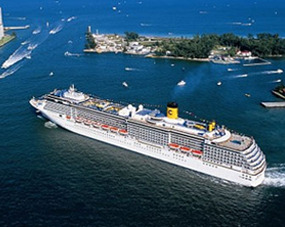 Our close proximity to the Port of Miami makes us a top choice for most travelers. 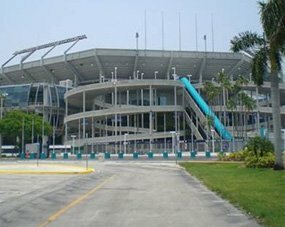 The port of Miami is one of many locations our hotel shuttle can take you to for a small fee. We offer hotel shuttle service to nearby attractions such as gorgeous beaches, restaurants, shopping, fine dining, and more, all for a small fee. 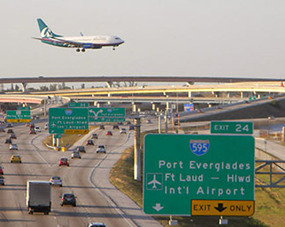 If you need a ride to the Fort Lauderdale-Hollywood International Airport, or the Miami and Port Everglades Cruise ports we can take you as well. 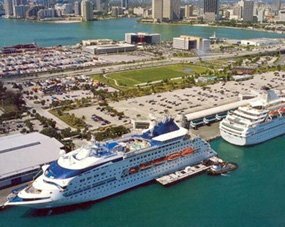 To get the lowest rates on rooms and secure your spot with a hotel that includes shuttle service to the Port of Miami, be sure to book directly with our hotel by calling us at 877-981-1800, or by visiting our website and clicking on the book and save link. As one of the top Fort Lauderdale Hotels with Shuttle Service to the Port of Miami our hotel staff will do everything possible to accommodate you needs. Our hotel amenities include a FREE hot and cold continental breakfast serviced every morning, FREE 24-hour coffee, sundry shop, business center, heated outdoor pool, elevator, guest laundry, and free parking. We are accessible to persons with disabilities, are Eco-friendly, and pet friendly. You will not regret staying at Quality Inn & Suites Hollywood Boulevard. We will make you our top priority when you stay with us! Fort Lauderdale hotels with shuttle service to Port of Miami such as Quality Inn & Suites Hotel will really impress you! Our rates are more affordable than most of the other cruise port hotels, we are in a prime location, and have many amazing amenities. We also offer numerous room amenities such as FREE Wi-Fi, refrigerator, microwave, hair dryer, coffee maker, iron, ironing board, comfortable mattress and linens, fluffy pillows, soft plush blankets, and safes in every room. Our hotel was recently renovated and has rooms which are more spacious now. Quality Inn & Suites are part of the Choice family of hotels.